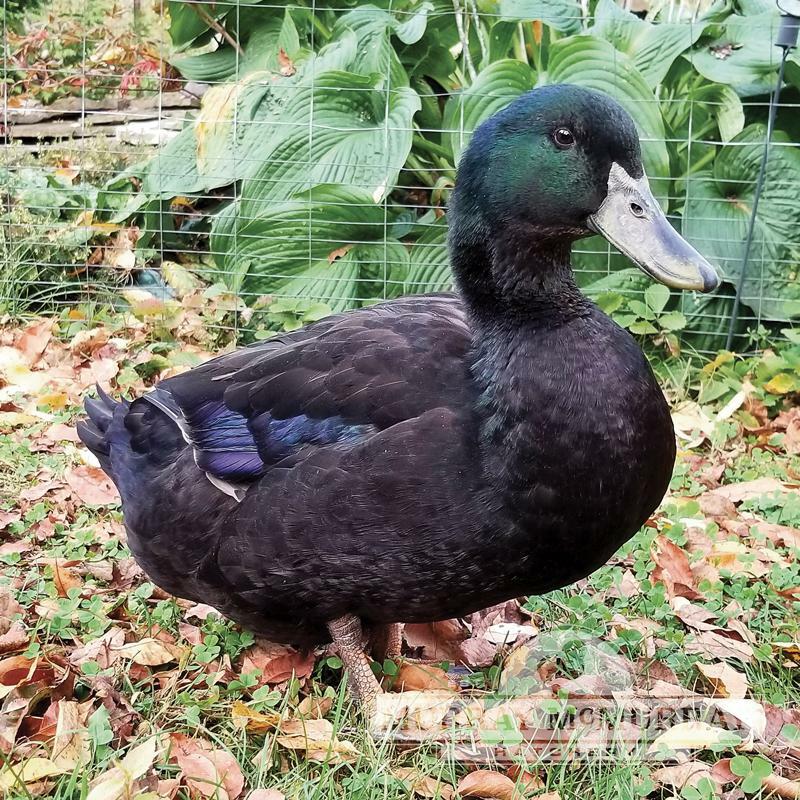 The Cayuga Duck gets its name from Lake Cayuga, New York, and is one of the few duck breeds that originated in the United States. 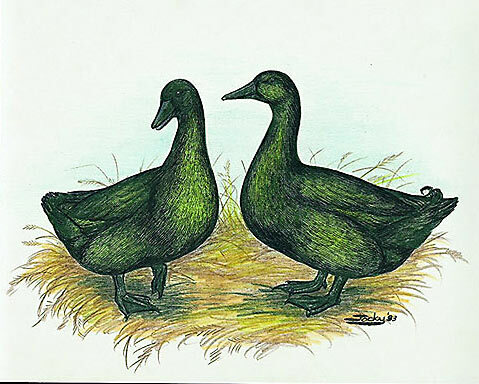 Cayugas are quiet ducks, are very hardy, and are known primarily for their brilliant beetle-green coloring. Cayuga hens weigh around 4-5 pounds and lay a light blue or gray egg. Males average about to 6 pounds. 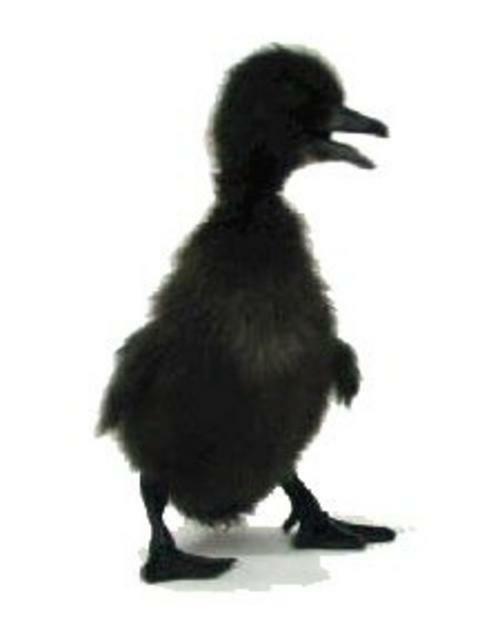 Cayuga ducklings have black feet and bills, black down, and have an occasional trace of yellow on their breast. 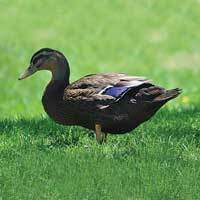 Is it possible to order a couple of females and a male Cayuga ducks? Is there a minimum that has to be ordered? 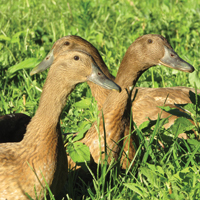 Cayuga ducklings are available as sexed birds. You can order males, females or unsexed (straight run). The minimum order for ducks is two. Orders of 2-9 ducklings ship after April 1st. 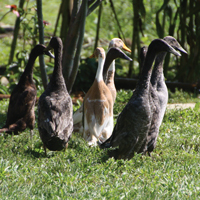 StupendousIf I could give the cayuga ducks from Murray McMurray Hatchery 10 stars, I would. Great customer service, excellent shipping, and healthy ducks purchased in 2018. These ducks have a wonderful calm temperament, survived the North Dakota winter with ease, and are now giving us amazing eggs. 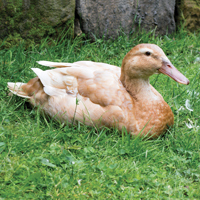 Wonderful breed of ducks and great service through Murray McMurray Hatchery. Thank you for your service! Sent the wrong sexI ordered a few ducklings and 3 of them were cayugas I ordered 2 females and 1 male but they sent 2 males and 1 female and even had the 2 males banded as males, even tho it clearly states I ordered 2 females, I am very displeased because now I have wasted my time and have an extra male in my program that I'm just gonna have to cull when the time comes and now I'm short a female.